OLUWASAYO AJIBOYE was born and raised in Nigeria and currently resides in St. Louis, Missouri. A graduate of Ibadan University (B.A. ), and with a degree in social work (M.S.W.) from Washington University in St. Louis, Sayo served for about ten years as a pastor in West Africa. 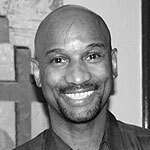 More recently, he founded Mission Africa International, which seeks to develop a new models and approaches for African leadership in church and political contexts. He is an alumnus of the Haggai Institute and has served on the Haggai Institute's international faculty in Maui, Hawaii. Recently he has organized Christian conferences in many parts of Africa and the USA and has facilitated leadership training in Singapore. He and his wife, Moni, have 3 children. Rev. Ajiboye is a member of the Consultation Committee for the IWC's "Emerging Leaders" gathering. JEROME BRACELY an embodiment of the saying "they don't need to hear you talking, if they can see how you're walking." During the last decade, more than 5000 men have been served through the Stepping into the Light Ministry - a men's drug and alcohol deliverance ministry founded by Pastor Bracely. These men have come off the streets, embraced Jesus as their Savior, given up substance abuse, found steady employment, and some are now married men and fathers. This ministry has had a remarkable 70% success rate in recovery from addiction. Jerome himself spent fifteen years addicted to drugs and alcohol until he received God's help through a local minister. While seeking freedom from his additions, Jerome made a promise to God, "If you can deliver me, I will dedicate my life to freeing others." Stepping into the Light Ministry was born out of this promise. In God's providence, the building now used by the ministry was purchased for $1, and even the $1 to buy the building was donated, since Jerome had no money in his pocket. Since SILM began its work in Old North St. Louis in 1995, the drug dealers who used to frequent the neighborhood have fled, property values have risen, and urban redevelopment has advanced throughout the neighborhood. SILM has helped to transform a whole community, as well as the thousands of men who have left behind homelessness and drug addiction. Pastor Bracely is a member of the Consultation Committee for the IWC's "Emerging Leaders" gathering. TIMOTHY CHEN was born in Fujien, China, grew up in Taiwan, and immigrated to the U.S. in 1967. He obtained his B.S. from National Taiwan University (1966), M.S. and Ph.D. in statistics from the University of Chicago (1969, 72). He worked full-time in statistical and medical research for 30 years in academia, industry, and government (National Cancer Institute). He was born in a Christian family, but became a skeptic during high school and college years. During the first year of his graduate study in Chicago, he returned to his childhood faith by God's grace. He studied at Southwestern Baptist Theological Seminary (SWBTS) part-time and received his M.Div. degree in 1989. He resigned his position as a professor of statistics at the University of Maryland Medical School in 2001 and studied in the Th.M. and Ph.D. programs at SWBTS for three years. He became the Chinese pastor of STLCGC in December 2004. He married Meei-ming Li thirty-seven years ago, and they have two grown sons. He is a member of the Consultation Committee for the IWC's "Emerging Leaders" gathering. 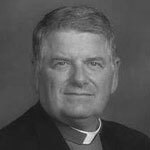 DENNIS CHITWOOD was ordained deacon for the Archdiocese of St. Louis on January 28, 1984. He has served at four inner-city parishes, ministered to youth and young adults through Teens Encounter Christ, Awakening Retreats, REAP Team, Life In the Spirit Seminars, Prayer Groups, and the Catholic Charismatic Renewal. 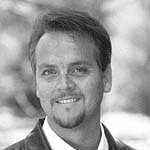 Deacon Chitwood is known for teaching and preaching nationally and internationally at conferences and missions. He has a Master of Theology in Pastoral Studies with a focus on Spiritual Counseling from Aquinas Institute of Theology in St. Louis, Missouri. 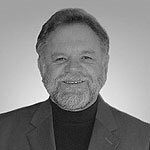 He has been Director of the Catholic Charismatic Renewal for the Archdiocese of St. Louis and Director of the Catholic Newman Center University of Missouri St. Louis and Liaison to the Archbishop of St. Louis for the National Charismatic Renewal. Deacon Chitwood is married and a father of three children and "Papa" to twelve wonderful grandchildren. Deacon Chitwood is a member of the Consultation Committee for the IWC's "Emerging Leaders" gathering. ANGELYN DRIES holds the Danforth Chair in the Department of Theological Studies at Saint Louis University. She is a Franciscan sister, was Chair of the Theology Department at Cardinal Stritch University, and served among Korean- American Catholics in Milwaukee for ten years. 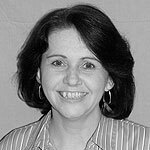 She is the author of a major work on U. S. Roman Catholic missions, The Missionary Movement in American Catholic History (1998), and is coeditor of Prayer and Practice in the American Catholic Community (2000). 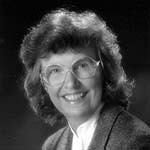 Dr. Dries was one of the presenters at the IWC's 2003 conference on "The Future of Christianity." GASTÓN ESPINOSA is the Andrew W. Mellon Postdoctoral Faculty Fellow at Northwestern University. He holds masters degrees from Princeton Seminary and Harvard University and a Ph.D. from the University of California at Santa Barbara. He has held appointments at Westmont College, the University of California, Santa Barbara, Dartmouth College, and Northwestern University. Espinosa is the author, co-editor, or co-author of Latino Religions and Social Activism in the United States (2004), Latino Religions and Politics in American Public Life (2005). He recently completed the $1.3 million Hispanic Churches and American Public Life research project on Latino religions and politics (www.hcapl.org). The Generations Center of Princeton named him one of the nation's outstanding one hundred men of color. Dr. Espinosa was one of the presenters at the IWC's 2003 conference on "The Future of Christianity." CHARLES FAY serves as a director on the boards of The Christian Broadcasting Network, Inc., Mission Metro St. Louis, and the Institute for World Christianity. He has been president of a Full Gospel Business Men's Fellowship International St. Louis area chapter for over 25 years and is the St. Louis coordinator of the Global Day of Prayer. He spent 34 years as an investment banker with A.G. Edwards, Inc., has been married to his wife Edie for 44 years, and has a daughter named Julie and a son named Zach. He serves as the IWC treasurer. FATHER WAYNE HELLMANN, Dr. Theol., is a Franciscan (Friars Minor Conventual, OFM Conv. ), Professor of Historical Theology in the Department of Theological Studies at Saint Louis University, and an authority on Franciscan theology and spirituality and the life of St. Francis of Assisi. He received his theological training (S.T.L.) at the Pontifical Faculty of St. Bonaventure in Rome and his doctorate (Dr. Theol.) at the Ludwig-Maximillians-Universitat in Munich, Germany. He was one of the three co-editors of new English-language edition of Francis of Assisi: Early Documents, 4 vols. (1999-2002). In addition to this major work, he served as an editor for the new edition of the New Catholic Encyclopedia, has authored numerous articles, and directed more than fifteen Ph.D. dissertations. During summers and vacations periods he has taught at St. Bonaventure University in New York State, Franciscan School of Theology in Berkeley, California, and at theological colleges in Lusaka, Zambia, in Nairobi, Kenya, and in Singapore. During his tenure as Minister Provincial, he has overseen the spiritual life of his fellow Franciscans throughout the mid-western and western region of the United States. He has served on innumerable international boards linked to his religious order and to Catholic higher education, and he was honored as the co-recipient of the 44th International Franciscan Award in 2002. Currently, he serves as chairperson for the Department of Theological Studies. Fr. Hellmann is the Secretary for the Institute for World Christianity. FERNANDO HERNANDEZ is founder of Refuge of Nations, a ministry that serves spiritual and material needs of recent immigrants to the Saint Louis region. He is a former professional soccer player who played on teams in his native Columbia, and also in Florida, San Jose CA, and Saint Louis, Missouri. 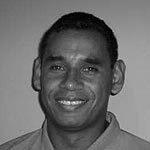 NELSON JENNINGS is Associate Professor of World Mission at Covenant Theological Seminary in St. Louis. He was educated at Vanderbilt University and Covenant Seminary, and received his Ph.D. from Edinburgh University in Christianity in the Non-Western World. 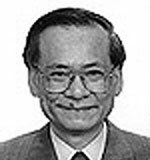 He has published many articles and co-wrote (with Hisakazu Inagaki) Philosophical Theology in East-West Dialogue (2000). An ordained minister of the Presbyterian Church in America (PCA), he has a decade of experience as a missionary in Japan. 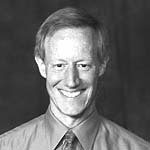 Dr. Jennings was one of the presenters at the IWC's 2003 conference on "The Future of Christianity." DEBBIE KAUL has been a believer for over 30 years. She is the mother of two adult children. Currently residing in St. Louis, she is employed full time as an administrative assistant. Debbie is active in her local church, Victory Fellowship. Her involvement includes speaking and teaching, small group leadership and personal prayer ministry. She is a member of the Consultation Committee for the IWC's "Emerging Leaders" gathering. MICHAEL MCCLYMOND is an Associate Professor in Theological Studies at Saint Louis University. He was educated at Northwestern University, Yale University, and the University of Chicago, and previously held appointments at Wheaton College, Westmont College, University of California - San Diego, and Emory University. 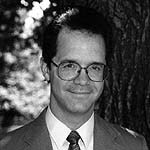 He is the author, editor, or co-editor of Encounters With God: An Approach to the Theology of Jonathan Edwards (1998), The Rivers of Paradise: Moses, Buddha, Confucius, Jesus, and Muhammad as Religious Founders (2001), Embodying the Spirit: New Perspectives on North American Revivalism (2004), Familiar Stranger: An Introduction to Jesus of Nazareth (2004), Encyclopedia of Religious Revivals in America, 2 vols. (2006), and (with Lamin Sanneh) Blackwell Companion to World Christianity (forthcoming, 2008). He is the single father of a seventeen-year-old daughter, Sarah, and, in his free time, he plays blues and rock guitar in the St. Louis-based band, The Pneumatics. Dr. McClymond is the President and Founder of the Institute for World Christianity. JAMES NESBIT serves as a catalyst for unity and corporate prayer among Christian believers. He is Overseer of Prepare the Way Ministries International -- an apostolic team of leaders who offer healing prayer on behalf of individuals, churches, communities, and regions. He also serves with Regina Shank on the Missouri Apostolic Counsel and is the Southern Illinois Coordinator for the United States Global Apostolic Prayer Network. James and his wife, Colleen, have one child, Isaac James. In February and March 2006, James led a prophetic team on the Circle of Fire Prayer Journey, praying 40 Days around the perimeter of the State of Illinois. James is also a psalmist and an accomplished artist, having written many songs and designed many book and CD covers. He has painted many large murals in area churches and for several years designed the annual report cover for the March for Life in Washington, D.C. He has also worked in conjunction with Chuck Pierce in producing yearly prophetic overviews and artwork for all fifty States displaying the prophetic words Dutch Sheets and Chuck Pierce. He is a member of the Consultation Committee for the IWC's "Emerging Leaders" gathering. LAMIN SANNEH is the D. Willis James Professor of Missions and World Christianity and Professor of History at Yale University. 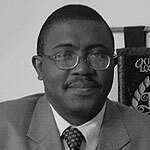 He is author of over one hundred articles and more than ten books, including Translating the Message: The Missionary Impact on Culture (1989), Encountering the West: Christianity and the Global Cultural Process (1993), Piety and Power: Muslims and Christians in West Africa (1996), and Abolitionists Abroad: American Blacks and the Making of Modern West Africa (2000). 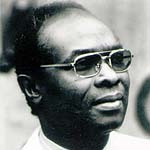 He lectures throughout the world, and in honor of his achievements, he was made Commandeur de l'Ordre National du Lion - Senegal's highest national honor. Sanneh began his life as a Muslim, and today is a Roman Catholic layman. Dr. Sanneh was one of the presenters at the IWC's 2003 conference on "The Future of Christianity." 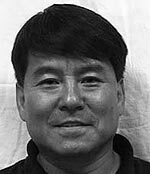 HANJOO PARK is Administrative Assistant Pastor of the Korean Presbyterian Church of Saint Louis. He received his Ph.D. in education from the University of Missouri. He is a member of the Consultation Committee for the IWC's "Emerging Leaders" gathering.